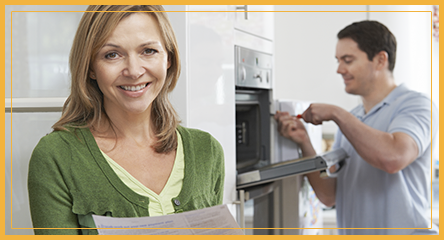 At Profix Appliance Service of Los Angeles, California, we maintain your household appliances, focusing on your busy kitchen. Call us for any problem that arises. We offer monthly tips where we list technical problems you can resolve yourself, without calling us in. However, when your refrigerator stops cooling, your oven stops heating, or your dishwasher won’t clean, it’s time to call Profix Appliance Service. Our service call/diagnostic fee is $90.00, it is a bill for the expense associated with the time and travel to diagnose, inspect and provide expert recommendations and estimate for a repair by a certified professional technician. Any additional appliances are $45.00. The cost of a service call does not apply towards labor on a return visit. We are an authorized service provider for Viking®, Dacor®, Perlick®, U-Line®, BlueStar®, Thor®, Aga®, Marvel®, Verona®, Ilve®, American Range®, Molteni®, and DeLonghi® appliances with more coming soon. All repairs come with a one year guarantee on parts and a 30 day guarantee on labor. We appreciate your business and our goal is to provide you with a high quality customer experience. Call us when you need prompt service from efficient technicians. We are open from 8 a.m. to 4 p.m., Monday through Friday. You can always reach us after hours via email. Thank you for choosing Profix Appliance Service for all your appliance repair services.